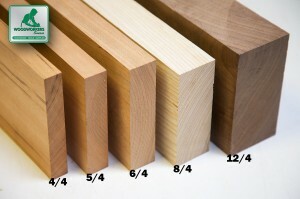 Ranks among the finest cabinet woods. Exceptionally stable and clear with a natural luster. Moderately coarse texture. Requires filling to achieve a class smooth surface but accepts virtually all finishes with ease. 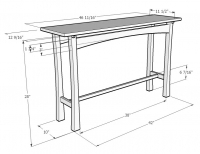 Widely praised for its response to hand tools, power tools, and all woodworking procedures. Yellowish brown to reddish or orange brown. A massive tree with a beautiful canopy, this tree grows to over 150 feet with trunk diameter over 72" above large buttresses. Furniture, cabinets, guitars and other musical instruments, interiors, boat building, pattern making, trim, entry doors, stairs. 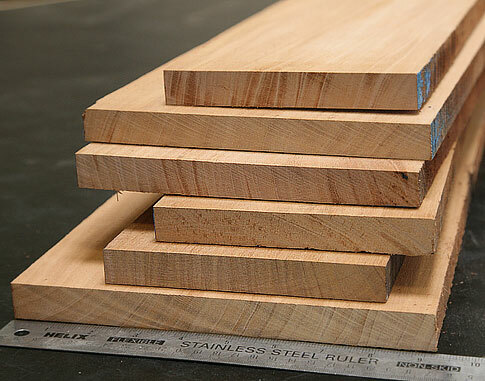 Genuine Mahogany Turning Squares: 1-3/4" x 1-3/4" x 18"